The UKPollingReport guide is a one-man affair. It is written and maintained by myself alone, and in the absence of factcheckers and sub-editors there are bound to be errors, particularly as the new updated version is rolled out and coding errors come to light. Rather than leave comments on the pages themselves where they may be overlooked, please use the comments box on this page to report any errors you find. I'll delete comments as the errors they report are fixed, so do check to see if someone has already reported the error you've noticed... it may already be in the "to do list". A note about Parliamentary Candidates: I've started to add on 2015 Parliamentary candidates to the constituency pages. There were about 4000 at the last election, so with the best will in the world I'm never going to be able to add them all, so I'm attempting to prioritise rather better than in 2010. I'm going to update in batches, not in little piecemeal chunks, and I'll be prioritising the candidates from main parties in marginal seats. Note also that I'm not keeping track of the reselection of sitting MPs - I'll just add those who aren't retiring to their candidate lists come close of nominations in April 2015. If you are a candidate or their representative who wants something correcting leave a comment on this page, or contact me directly if it's urgent. If you would like candidate details adding, please be patient - I'm working through as many as I can in priority order, and hopefully I'll get to you in due course. Feel free to leave details on this page - I can't promise I'll get to you any sooner, but it saves me looking up details when I get to you. For clarity, the details I include are year of birth, place of birth, secondary school and undergraduate university attended, primary career, if someone has been a county, unitary or district councillor (NOT parish) and past Parliamentary candidacies. I do not normally report where people live, where they grew up, if they are married or have children, hobbies, charity work and how commited and hard working they are - the biogs here are intended as bare, dispassionate facts, not advertisements. Formatting errors on page. + Missing MP pen picture, Past Results & Demographics. Problem with formatting on Bedford page. No comment box on the Liverpool, Walton page. Thanks. Nuneaton is looking as it should to me – are you still getting that, or did it go away. Van Fleet – I can open Liverpool Walton up if people want to discuss things there, but for some unexplained reason that page, and that page alone, was getting several hundred spam messages a day. So I closed it, let them eat error message for a while. Fair enough, Anthony. I don’t have anything to say there that’s so important to risk an onslaught of spam. Thanks for the answer. The Derby North majority of 613 is over the Conservatives not the LDs. North Yorkshire PCC and Humberside PCC menu bars on the Yorkshire and Humberside page BOTH link to the Humberside PCC data page, at least they do on my desktop and tablet. Hi. On your “Voting intention”graph, it is labelled at the bottom: ” 2011, 2012, 2009, 2010″. This makes no sense. Otherwise, good work! Euro Candidates 2014. Text for the ‘extra’ candidates has a background of black, unfortuneately the text itself is black! Names are revealed when you hover your mouse over the black oblong but I guess this is not what you were aiming for! Blake – what browser are you using? Background should be white, and looks white to me in Firefox & Chrome, so presumably an issue with something else. Anthony – using Internet Explorer. I have checked with version 8 (on my steam driven box!) but also checked in IE 11 on Win 7. Same effect on both. This page: http://ukpollingreport.co.uk/guide/seat-profiles/chathamandalyesford/ includes the incorrect name “Alyesford” which is also shown elsewhere on the site. The town name is AYLESFORD. The EU parliament members need updating from the results of the 2014 election for most if not all regions. Any chance of a UKIP-focussed page in the event that they go on to secure multiple MPs – UKIP targets perhaps, as there has been quite a bit of work on Conservative and Labour seats that might have favourable demographics? It would have been premature after the Euro elections, and in my opinion still is after Clacton. But if we get to the stage where they have multiple sitting MPs (possibly more than two, if media suggestions that post-Rochester and pre-GE UKIP would accept defections without by-elections are accurate), and mainstream pollsters are openly suggesting that they are looking like doing somewhat better than the number of defections + Farage, I think it would be good idea. The risk of not having such a page in that scenario would be that discussions about how UKIP will do nationally would go from being a topical, interesting and relevant factor when discussing an individual constituency, to a dominant and distracting topic which makes it difficult to talk about the relative prospects of anyone else. Watford Constit. thread, 2015 Candidates. Picture placeholder over-lapping MATT TURMAINE name. Somebody has pointed out correctly, that you have mixed up the details of Stoke-on-Trent Central with Stoke-on-Trent North. I believe the two northern Potteries towns i.e. Tunstall and Burslem are in Stoke North whereas the two middle towns i.e. Hanley and Stoke-upon-Trent are in Stoke Central. The M.P. for North is retiring Joan Whalley whilst Tristram Hunt, the Shadow Education Minister is M.P. for Stoke Central. I thought you might want to know, for mobile users, your graphs don’t display because iPhone/android don’t support the flash plugin. This forces me to go to the wikipedia article instead. Hi, I am the campaign manager for Plaid Cymru/Party of Wales for the Brecon and Radnor constituency and I notice our candidate for the Westminster election is not included in your candidates profile for this constituency. Please feel free to contact me for information and a photograph of Freddy Greaves our candidate. I haven’t visited this website for ages, so apologies if this is a bit late. The correct figure for Gavin Barwell in Croydon Central in 2010 was 19,657, not 19,567. The figure of 19,657 was given to the candidates at the count, declared by the Returning Officer, published in the newspapers and in the Times Guide to the House of Commons. It was only afterwards that the figure of 19,567 appeared – apparently by a simple transcription error of someone typing in the wrong digit from the declaration form while copying the result into the digital on-line version of the declaration which later appeared on Croydon council website. I am the Green Party PPC for the West Suffolk constituency, the details required are below. Please feel free to contact me if any additional information is needed. Education: Mildenhall College of Technology, Bangor University (Environmental Conservation, BSc Hons.). Mebyon Kernow have selected the following candidates for the General Election. Camborne/Redruth – Loveday Jenkin – Cornwall Councillor for Crowan & Wendron – chairs standards committee on Council. Cornwall South East – Andrew Long – Cornwall Councillor for Callington – chairs East Planning Committee – former Shopfitter – currently Portreeve/Mayor of Callington. St Ives – Rob Simmons – town Councillor for Penzance – works for Cornwall Council on Cornish Language development programme. Truro/Falmouth- Stephen Richardson – parish Councillor for Illogan – owns Fish & Chip shop in village. Candidates for Cornwall North and St Austell & Newquay to be confirmed early January. I have been selected as Green Party candidate for Bedford (as in 2010). University Research Fellow. Studied at Newcastle, York and Cardiff Universities. Previously stood in Mid Bedfordshire (2005) and Bedford (2010). Picture at http://www.bedfordshire-news.co.uk/Ben-Foley-contest-Bedford-Kempston-Constituency/story-25835419-detail/story.html (I supplied them the picture, so no copyright issues). Thanks for the site: really appreciate the work you put in to both the constituency and the (national) polling sides. Dear Sir, Please can you add Mike Rigby (Independent) to the Taunton Deane seat. Mike is a local businessman, County and Parish Councillor who has lived in the Taunton area for over 20 years. He is also a founder of TauntonForward, a taskforce of businesses, employers and talented individuals determined to transform Taunton Deane into the prime regional centre for business, shopping, tourism, the arts and entertainment. Mike Bell is no longer the Lib Dem candidate for the constituency. I’m now the Lib Dem candidate (John Munro). In terms of biographical info: Born in 1983 in Bristol, attended Wyvern School (now Hans Price Academy) and Keele University. Currently works for the BRC representing retailers to government and campaigning on support for High Streets and raising the profile of retailing as a career. Have emailed with a thumbnail picture, for completeness. Small matter, however I believe “The Boltons” to be in Chelsea seat not Kensington. Educated at Goldsmiths College. Charity Governance Administrator. Anthony: can I respectfully enquire why the Northern Ireland constituency pages haven’t been made available for this general election? Number 1. Vince Cable is not the sitting MP for Twickenham – all MP’s are no longer MP’s merely candidates. Your system must change this. Number 2. Dominic Stockford is standing for The Christian Party in Twickenham. I am, really, I am. A description for the Ayr Carrick and Cumnock page would be great! (Main population centres being Ayr, Maybole, Girvan, Cumnock and New Cumnock/it’s a mix of left wing former mining communities across Carrick and Cumnock (along the south and east of the constituency) and affluent, middle class suburban communities along south-west and east Ayr – with working class pockets along parts of central and northern Ayr). 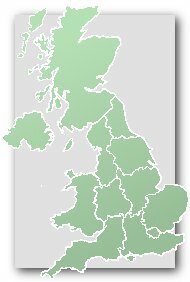 http://www.visionofbritain.org.uk/elections/ – provides detailed election results/maps dating back to 1833 and historical demographics, maps etc. which can help to explain political patterns etc. in constituencies – I found this pretty interesting. http://www.scotlandvotes.com/ – I’m not sure whether or not this belongs but like electoral calculus it has an opinion poll calculator for Scottish Westminister seats, and more importantly Scottish parliamentary seats. http://www.lgbc-scotland.gov.uk/ – The Boundary Commission Scotland’s site for local boundaries eg. electoral wards and local council areas, this is for some reason not on the main site. http://www.arcofprosperity.org/ – although I’m not a nationalist myself this site contains some interesting, and at times laughable, political discussions etc. regarding Scotland (and Scandinavia?). I am UKIP’s Parliamentary candidate for Birmingham Selly Oak. Born 1967. Educated at Queen Mary’s Grammar School, Walsall, and University College, London University. Solicitor in Birmingham. You can get a photo of me from the Parliamentary Candidates page of ukipbirmingham.org, or drop me an email and I’ll send you one. Born 1980, educated at Maidstone Grammar School and UWE Bristol, law graduate and former Whiteley Parish Councillor. James Bush is contesting Derbyshire NE for UKIP. He was born in 1970 and educated at Poynton High School (Cheshire) and Bath University. He is a chemical engineer and contested Derbyshire NE for UKIP in 2010. If you email me I can send you his photo. The Green Party candidate is _Marc_ Fothergill, not Neil. I can send you a photo if I can get an email address for you, or you can take it from my facebook page. The percentage vote shares for the 2015 result in Richmond (Yorks) are incorrect… though I think the raw vote figures are correct. South West North should be South West Norfolk. On the Mid Bedfordshire page it says Nadine Dorries was first elected in 2010 (and stood in Hazel Grove in 2005) so those two years need shifting back an election each. Newark Constit. Thread. Blog comments do not load when page is opened. Has happened to a number of users. See comments at bottom of page 7 and mine on page 8 of Newark thread. If you do a post it seems to ‘wake up’ and then you can read all comments. Having logged off, and back on again, comments remain visible. The recent constituency comments’ list on the left doesn’t seem to be working on most seats, for some reason. Yep I’m seeing that to, getting a random mix of constituencies depending on which page I’m on, some of the seats haven’t been commented on in months!!! As far as I can tell a solution is to go by memory and look at one of the most recently commented seats and the list then seems to work properly, but that might just be for me.